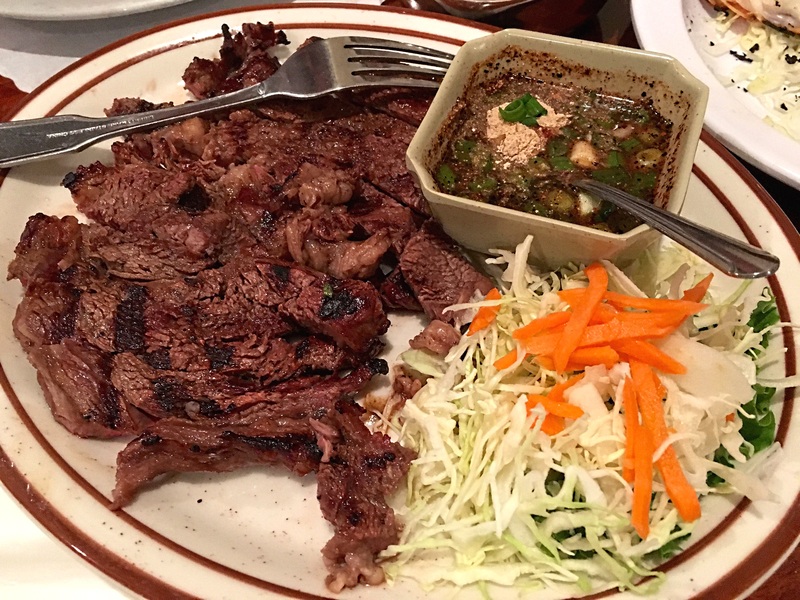 It has been two years since we have dined at Lotus of Siam. Last time we dined there, the customer service was lacking and the food we had was a mix. My husband was craving Thai food and we first considered Chada Street but my brother and husband decided on LOS instead. 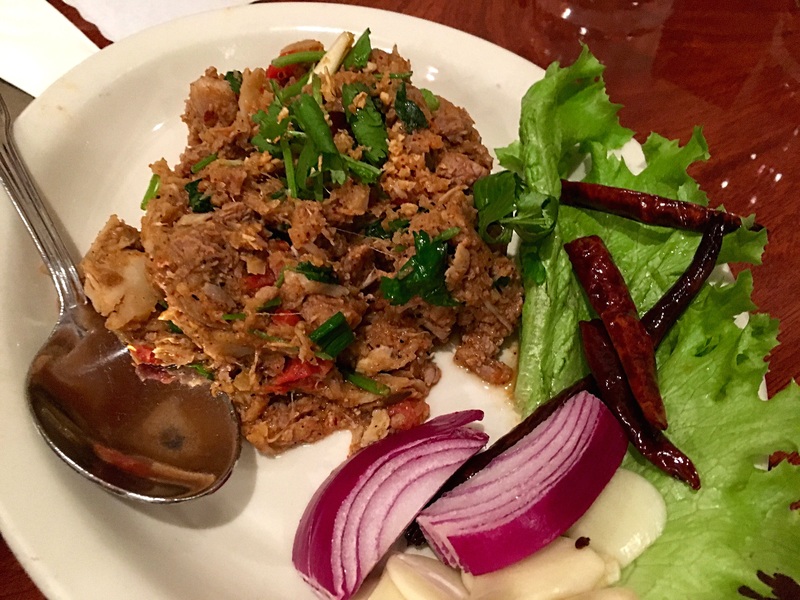 This time we tried a few new dishes and the experience as a whole was mostly positive. Service was better than the previous time. This is a long time favorite and we had to order two. 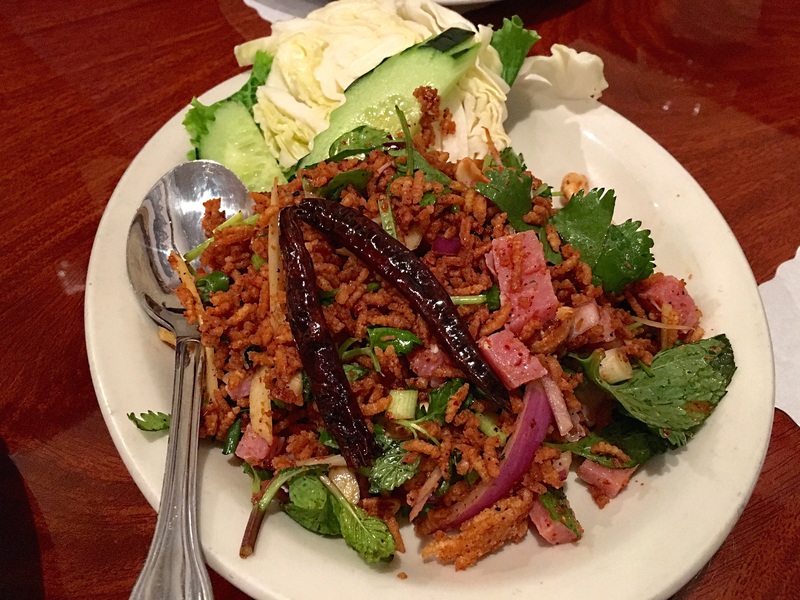 Even though it was very spicy, we could not help ourselves from enjoying it. It was a perfect dish and nothing like the sorry version we had at the Night and Market Song a while ago. The rice was perfectly crisped and there were plenty of cubed sausages. A very interesting dish and a unique taste and flavor. Very hearty too. 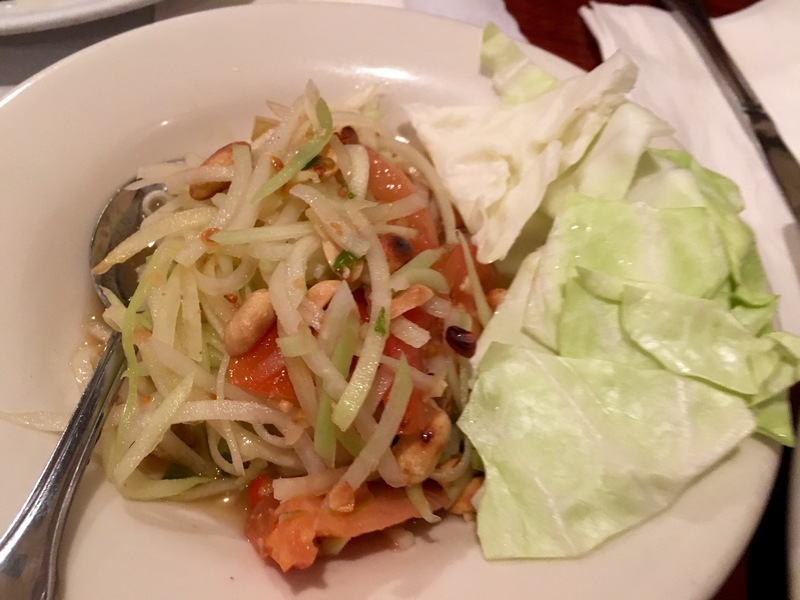 The papaya salad was good, but not a favorite and a touch sweet for my taste. 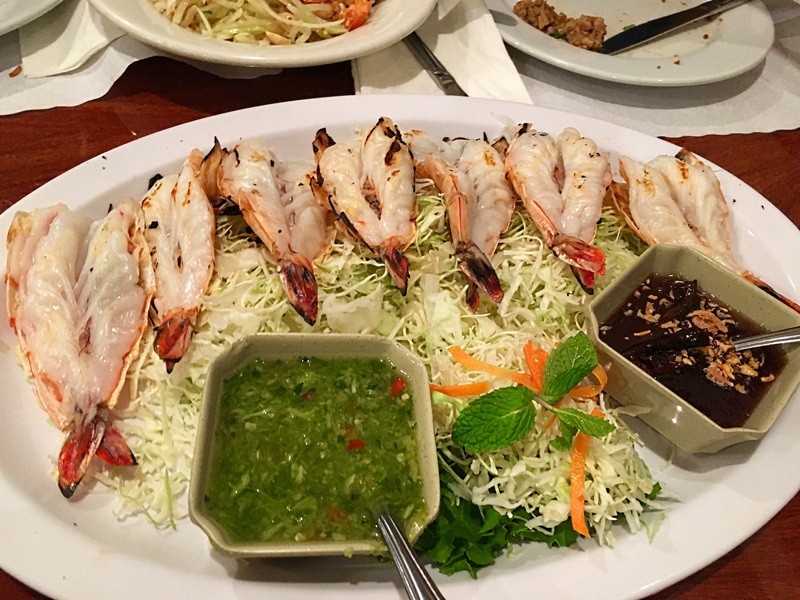 The prawns were grilled perfectly and the two sauces enhanced the experience. The past few times we have ordered steak, it has been a let down. The meat was chewy and not in a skirt steak kind of way. Also there was not enough char and smokiness for something that supposed to be BBQ. I skip the beef next time. 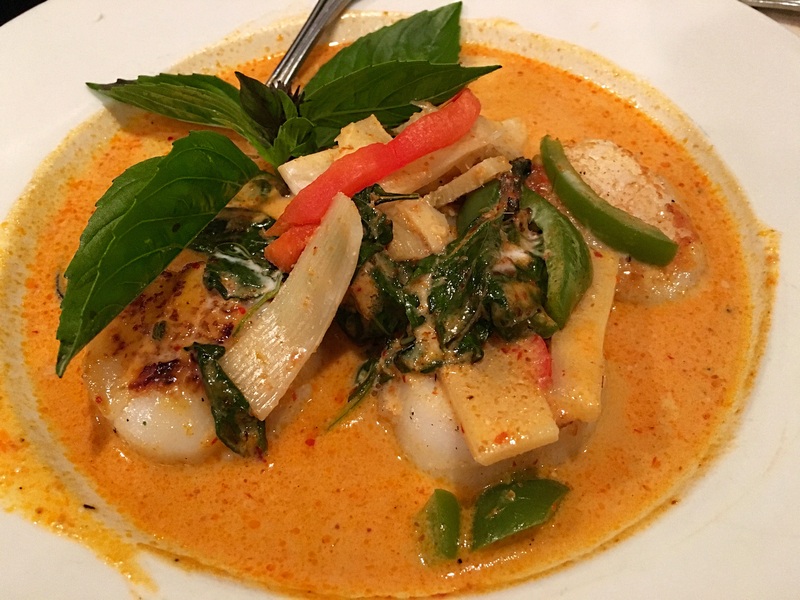 The scallops were cooked just right and the red curry sauce was a delight to eat. 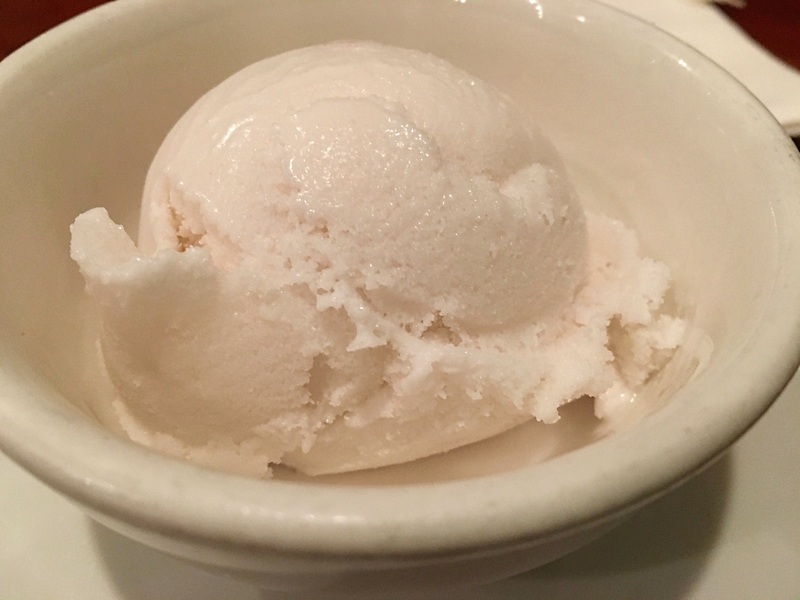 It was just OK and not coconut-y enough and at $4 a scoop it better be.